Fiona is a happy hound that loves people. 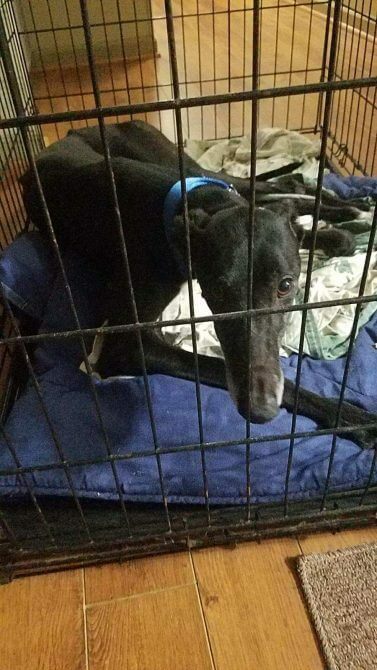 She learns quickly and gets along well with the other greyhound in her foster home. Fiona tested well with cats when she met them at a volunteer’s home. Fiona is a puppy at heart and can be curious about her surroundings. Fiona is not fostered with young children, but we have no reason to believe that she would not be well suited for a home with children. She enjoys playing with stuffed toys but she is still working on her leash manners and how to navigate stairs. If you’d like to learn more about beautiful Fiona, contact our adoption coordinators!